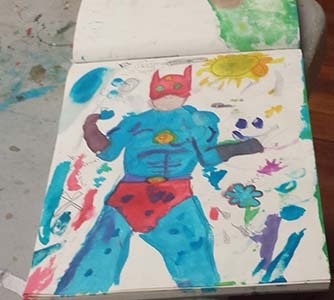 Artist Mark Horwedel lead our group of teen and tween campers through steps and techniques to creating their own comic book superheroes. 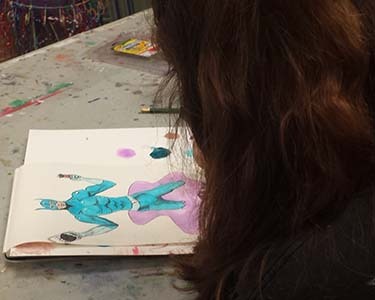 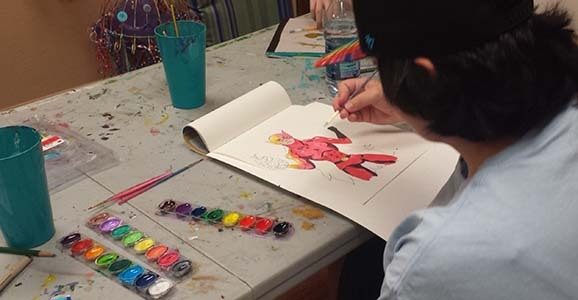 From face structure to body build, campers designed their own superheroes, as well as delving in other comic characters such as dragons, monsters, and more. 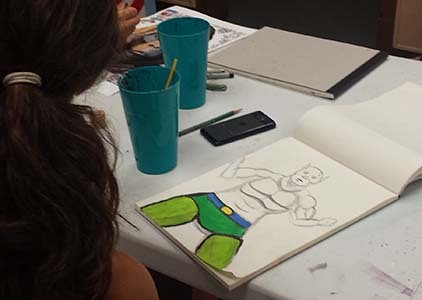 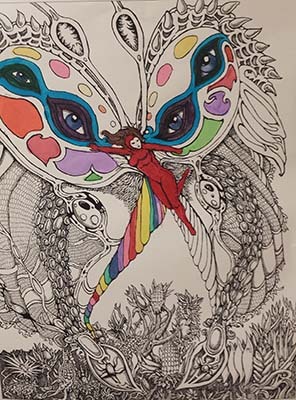 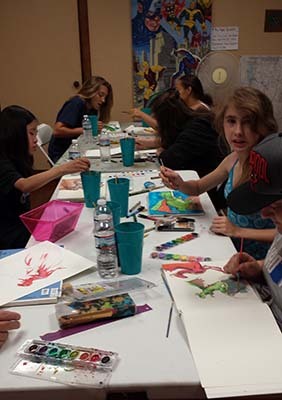 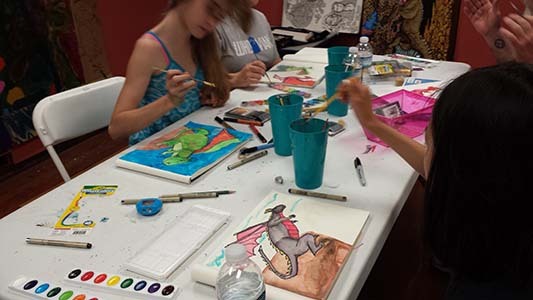 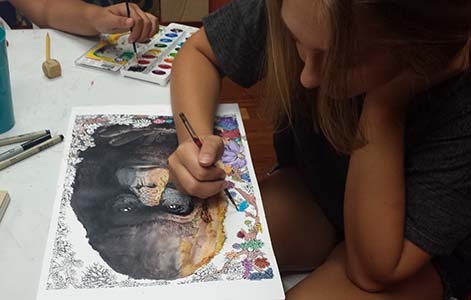 Find some snap shots of our Illustration campers creativity. 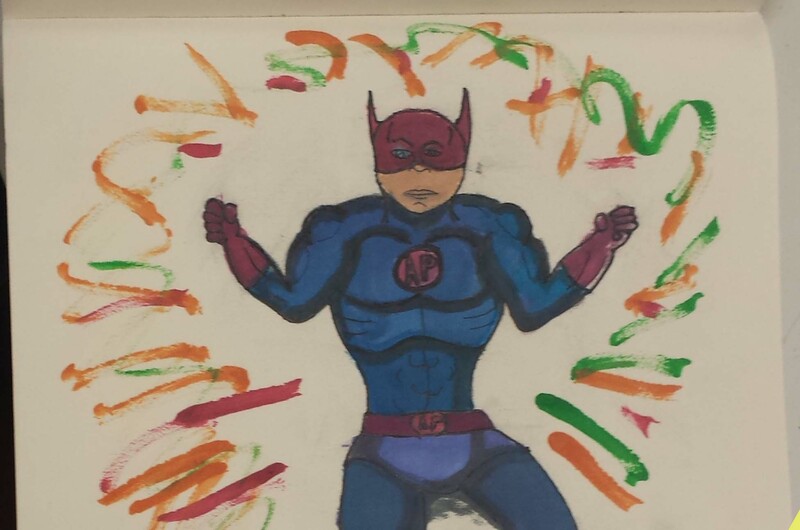 All the superhero designs showcased a different idea, identity, and perspective. 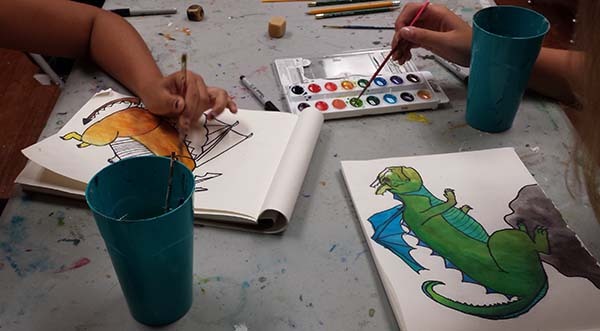 The Camper’s were really excited to create their own dragons. 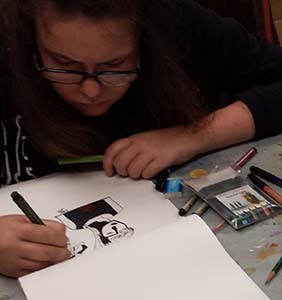 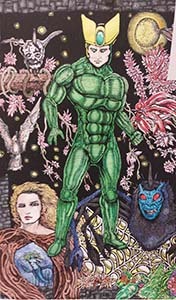 They all choose different palettes to color in their designs after drawing them and outlining them with black sharpies.